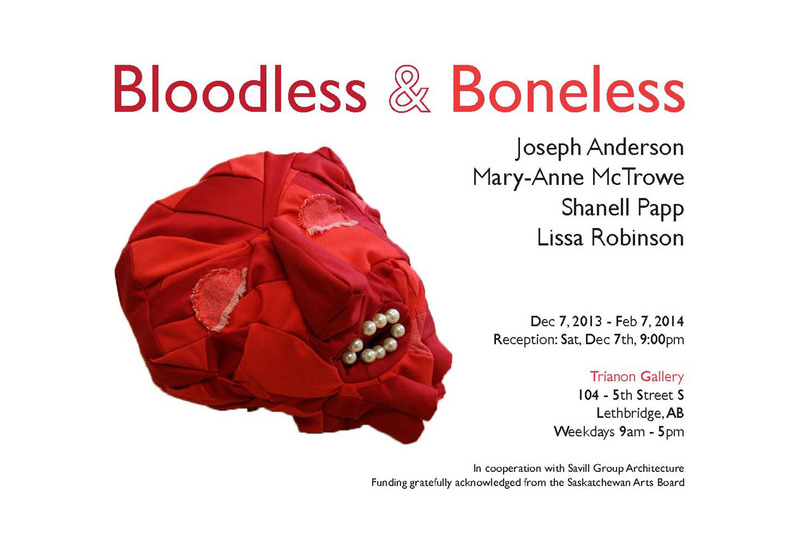 The Trianon Gallery is pleased to announce our new exhibit Bloodless and Boneless, a collection of drawing, sculpture, and textile works that explore notions of excess and the body through fanciful and surreal imagery and objects. This show features the works of Joseph Anderson, Mary-Anne McTrowe, Shanell Papp and Lissa Robinson. Join us, along with the exhibiting artists, on Saturday, December 7th @ 9 pm for the reception and escape the cold. Hope to see you there!